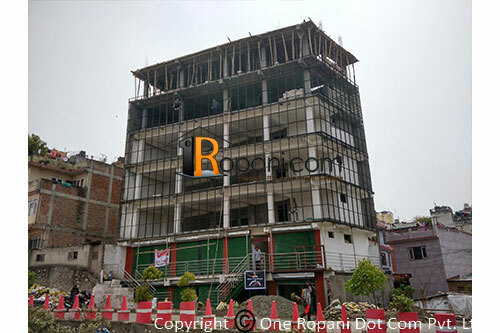 This property located at prime location suitable for office space, Hotel, Restaurant and cafe etc. Total area :- 8,400 sq.ft. Facing with 10 meter width dhobikhola corridor , having 6 '' deep boring for water, Exactly located at side of Model Bridge ( Namuna Pul )., Now available 2nd floor, 3rd floor, 4th floor and 5th floor. Special discount for the Tenant who take 4 no flat .